Why Annjoo Steel now of all the Steel Counters in KLSE? Usual AR will report Top 30 Shareholders. For Annjoo it goes the extra mile to list up to Top 50 Substantial shareholders. I also saw Eastspring in TMakmur which was taken private. Now is Annjoo performance sustainable? 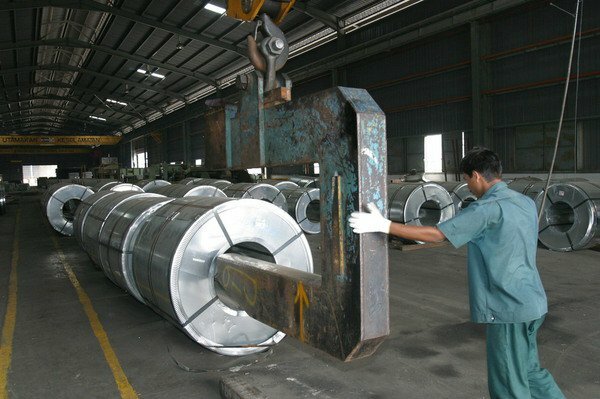 Ann Joo Resources Bhd is primarily engaged in the manufacturing and trading of steel and steel related products. Business activity of the group is divided into two segments namely Manufacturing and Trading segment. Manufacturing segment consist of manufacturing of iron, steel and steel related products such as billets; mild steel round, angle, round, square, flat, wire rods; and black shafts; and Trading segment is involved in trading of steel products such as carbon steel, stainless steel, hardware products, building and construction materials and it also looks into the operations of steel service centers. Further, the group is also involved in investment holding and property management activity. Geographically, it operates in the region of Malaysia and Singapore. And why is Singapore so important? SINGAPORE - Construction demand is expected to remain strong this year due to sustained public sector contracts, as the industry continues to recover from a challenging three-year spell. Total construction demand, which is the value of construction contracts to be awarded, is expected to be between $27 billion and $32 billion this year, despite additional cooling measures in the private property market and the delay in construction of the high-speed rail between Singapore and Kuala Lumpur last year. Public construction demand, expected to be between $16.5 billion and $19.5 billion this year, is set to make up about 60 per cent of projected demand for the year. An estimated $30.5 billion in contracts was awarded last year, according to the Building and Construction Authority (BCA). This is in line with the agency's estimate of between $26 billion and $31 billion for last year. It represents a 23 per cent increase in construction demand compared with the year before, said Mr Zaqy Mohamad, Minister of State for National Development and Manpower, at the BCA-Redas Built Environment and Property Prospects Seminar which was held on Monday (Jan 14) at the Grand Copthorne Waterfront Hotel. "Many firms have felt the pressure. Construction demand declined for three consecutive years from 2015 to 2017," Mr Zaqy said in a speech at the event, adding that the Government's move to bring forward $1.4 billion in public projects to start between 2017 and early this year has helped firms ride out the downturn. Public sector demand contributed $18.4 billion last year due to projects such as civil engineering works and institutional buildings. Private sector demand was $12.1 billion, supported by projects such as the redevelopment of en-bloc sites, the sales of which were concluded in 2017 and the first half of last year. "We have also encouraged government agencies to parcel out large infrastructure projects to create more opportunities for local firms and to diversify risk," said Mr Zaqy. Total construction demand is estimated to be between $27 billion and $34 billion per year for 2020 and 2021, and between $28 billion and $35 billion per year for 2022 to 2023.